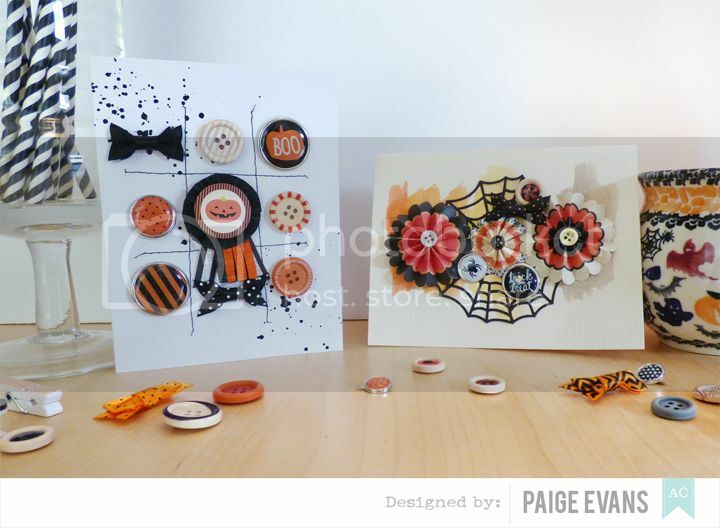 I have a pair of Halloween-themed cards up on the American Crafts blog today! HOW TO: Drop India ink across a white cardstock card base then stitch a "#" across the front using black thread. 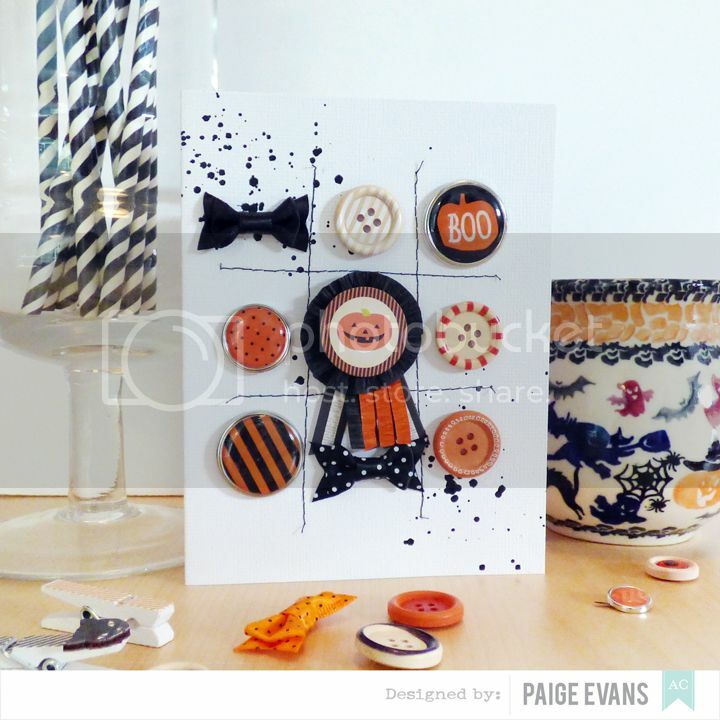 Place a Halloween-themed embellishment in each section to create a 3x3 grid of fun! HOW TO: Watercolor orange, yellow, and gray across a vanilla cardstock card base and let it dry. 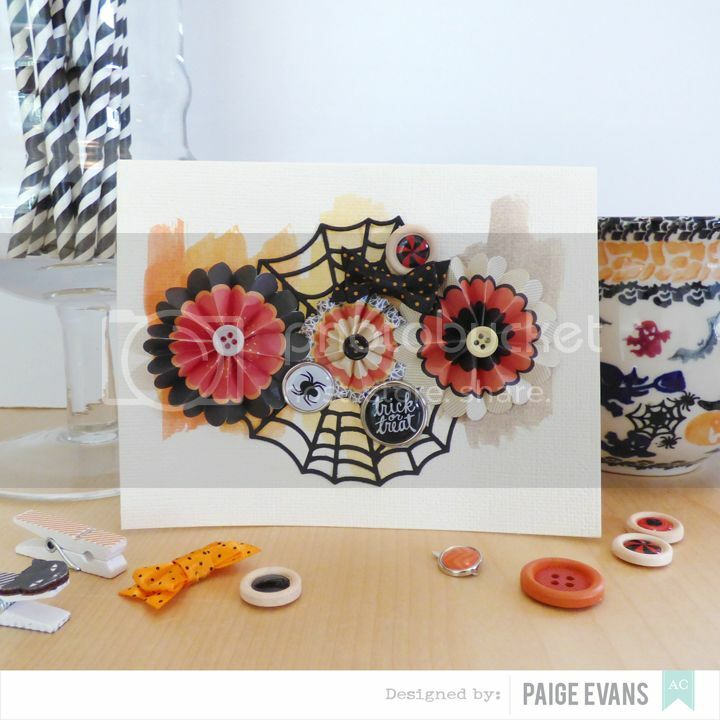 Place a spider web doily in the center then embellish with stickers, brads, and buttons. HAPPY FIRST DAY OF OCTOBER!!!! Ohhhhhhhhh these are gorgeous! LOVING the stitching and the web!!!!!!!!!!!!!!!!!!!!! what lovely cards--these are GREAT!